The Labeda RPG Inline Wheel enables you to maximize speed while maintaining an excellent grip. What more would you expect from an inline wheel called Rocket Propelled Gripper (RPG) inline wheels? The speed originates from the oversized inner speed ring and its stiff core. The wheelâ€TMs outer layer is coated to maintain a natural surface grip to give you the control you need in inline hockey. 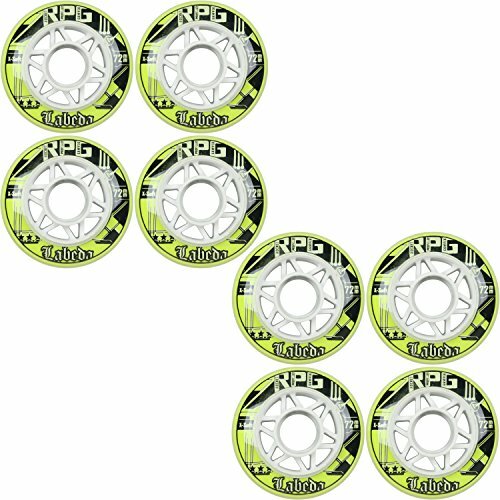 Measures 72mm 74A, Includes 8 Wheels. If you have any questions about this product by Labeda, contact us by completing and submitting the form below. If you are looking for a specif part number, please include it with your message.